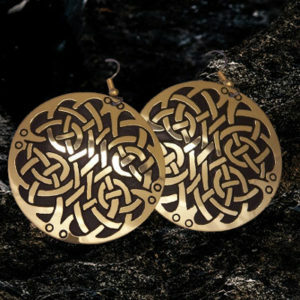 Celtic earrings Ulbster Knot, handcrafted Celtic jewellery from Ireland. 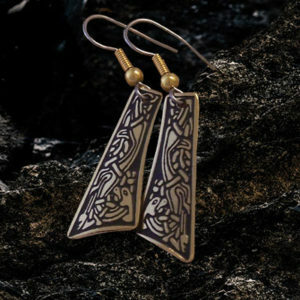 Pictish design earrings depicting one continuous line, symbolising eternity. From the cross-slab stone at Ulbster, Caithness. 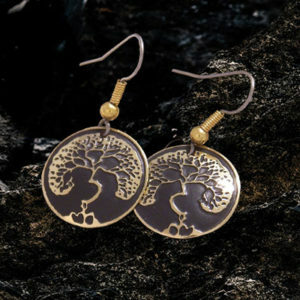 The dark hue of the contrasting etched Celtic design compliments the craftsmanship of these Celtic earrings from Ireland. 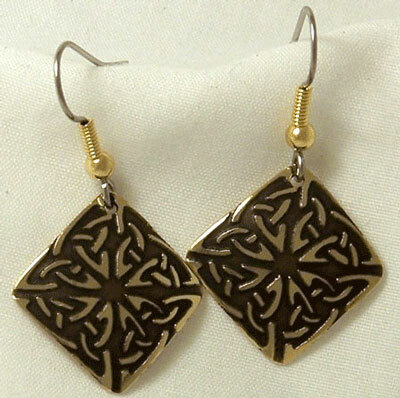 A Celtic gift for ladies handcrafted in Beara, West Cork, Ireland, by Paul Connolly. 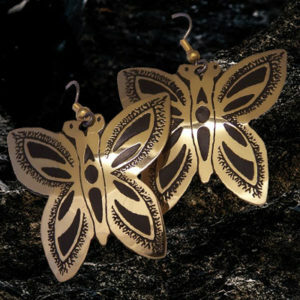 Size Width 18mm. Length 18mm.